The root of deuto shrub Sophora flavescens Ait. of family Leguminosae. Slightly smell, extreme bitter taste. Even with yellowish white cross section. Bitter and cold, liver; gallbladder, stomach, large intestine and bladder meridians entered. Clear heat and dry dampness, purge fire and remove toxicity, kill parasites and induce diuresis. 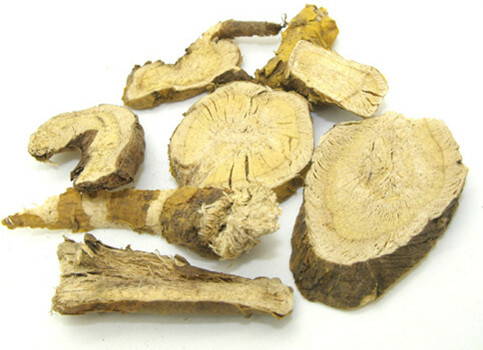 With a strong bitter and cold property, this herb is widely indicated for damp-heat syndromes because it can clear heat and dry dampness, and induce diuresis to drive pathogenic damp-heat out. For dysentery with pus and blood discharge, or painful diarrhea, it can be used alone, but it can achieve a better effect if it is combined with heat-clearing and dampness-drying herbs or toxicity-removing herbs like Huang Lian or qi moving herbs such as Mu Xiang. Xiang Shen Wan from Zhong Fu Tang Gong Xuan Liang Fang (Public Selected Effective Prescriptions from Fortune-Planting Clinic) gives an example. To use the single herb to treat jaundice due to damp-heat can work, but better effects can be achieved when combined with damp-heat-removing herbs or bile-excreting and anti-icteric herbs. For instance, it was combined with Long Dan and oxgall in Zhou Hou Fang (A Handbook of Prescriptions for Emergencies). For treating leukorrhagia due to damp-heat, or eczema, sores due to dampness, it is combined with heat-clearing and dampness-removing herbs such as Huang Bai and Di Fu Zi, either for internally taking or externally applying. It is also used for pains of hemorrhoids, hemafecia,and difficulty in urinating, damp and swollen scrotum. For instance, it is combined with Di Huang for treating bleeding hemarroids and blood discharge due to intestinal pathogenic wind in Ku Shen Di Huang Wan from Wai Ke Da Cheng (A Complete Book of External Medicine). It is mainly indicated for cutaneous sores, abscess, swelling and pain. For instance combined with Huang Lian and Da Huang in Ku Shen Wan from Zheng Zhi Zhun Sheng. It can drain heart and stomach fire toxicity and is effective for pain, redness and swelling in throat and gum due to adverse attacking of fire and toxicity of heart and stomach, sores in mouth and tongue or burns. For instance, in Lv Bai San from Wei Sheng Bao Dian, it is suggest to be used topically to treat burns when mixing its powder with sesame oil. It can be used topically and externally. For killing parasites and relieving itching, it is often combined with toxicity-removing and parasites-killing herbs, and wind-dispelling and itching-relieving herbs. For instance, it is combined with She Chuang Zi, Di Fu Zi and Shi Chang Pu in Ku Shen Tang from Yang Ke Xin De Ji (Gains Collection in Traumato-Orthopedic Department) and the decoction is used to wash externally. When being combined with herbs good at killing scabies and stopping itching, such as Liu Huang and made them into ointment for external application, it will obtain a better therapeutic effect. Taking its decoction to do douche or making it as suppository is advisable for treating trichomonas vaginal itching with leukorrhagia for it can achieve an effect of relieving itching and leukorrhagia by killing parasites, clearing heat, drying dampness and inducing diuresis to dispel dampness. 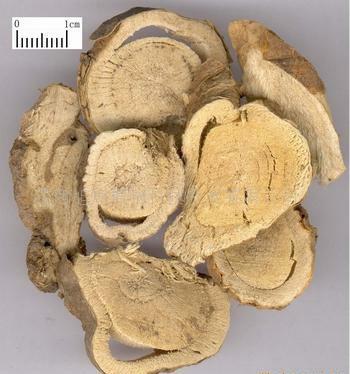 Modern usage: it has certain action on entero-parasitosis such as trichomonas enteritis and threadworm disease when being applied alone or combined with parasites-killing herbs such as Bai Bu by taking decoction or using the decoction to do retention enema. Decoct 3~6 g. Proper dosage is for external application. It is contraindicated for deficiency cold syndrome. Overdosage will weaken appetite and consume fluids. This herb can not be used together with Li Lu being listed in the eighteen antagonisms.